They say that love conquers all. Geography, status, wealth, influence. Age. It was Mark Twain who said that “Age is an issue of mind over matter. If you don’t mind, it doesn’t matter.” With painful reverie, I have found that age difference does matter to me; that it is a tormenting itch of the mind once the heart is quieted. Since the first moment that I met her I loved Louise Morris. When it is the heart alone allowed to love, there are no barriers that can restrict my longing to be with her; how she is my first thought when I wake and my last to carry me beyond sleep. But when the brain keeps me awake at night, offering cruel suggestion with my rising thoughts, I can only conjure the infinities of impossibility. In the sleepless hours my mind drives as loudly as a chainsaw to find a way in which I can close the age gap, to make time stand still for me whilst she grows older. I am certain that there must be a way, that what is fantasy now can become a reality. Even when hope seems futile, I know that we can grow together into a future. If I can stop time. We met three months ago in an early café after a night clubbing in London, bleary-eyed, exhausted and yet both still buzzing with excitement from the night, still feeling the pulse of the music in our veins. She was wearing very short pink shorts embroidered with cosmic symbols, thick maroon tights, and a purple push-up bra beneath a gauze top thickly laced with petals. Her head was slumped on her forearms, speckled with pale freckles, leaning on the high counter in the window of the Fry Harder Café as her friend, further along, mopped up the last streaks of tomato sauce from her plate. Plonking my bacon and egg sandwich and black coffee on the counter, I sat down just along from her, rubbing the sleepy dirt from the corners of my eyes. Picking up the glass sugar shaker, I began to stream granules into my mug. ‘Do you usually put salt in your tea?’ she asked. I turned to face her, still sprinkling grains from the shaker into my coffee. With her head still resting on her arms, she smiled. Her purple eyeliner, smudged to bleed beyond her eyelids, measured beautifully with the blue and teal streaks in her tangled blond hair. The crescent of stick-on gems around her eyes seemed to twinkle with her broadening grin. I looked with confusion at the shaker in my hand, and then at the sugar shaker on the counter in front of me. ‘Uh, yeah,’ I said. ‘Tea and salt’s always been my favourite post-club tipple.’ I nudged it away from me, further up the counter to where my mates were eating noisily. She sat up, stretching her shoulders. Her friend, bread finished, was now finishing the job with her finger. I couldn’t place her age at all. She looked maybe a cool twenty-five. And her figure, as she rolled her shoulders, didn’t look like that of a schoolgirl at all. ‘Were you at the Raindance party tonight?’ I asked, already unable to take my eyes from her. ‘Done, Lou?’ her friend asked, dressed in a spangled top and tight leather mini, her dark hair tied high on her head, sparing me a side-glance as she licked sauce from the side of her mouth. I noticed the slight indifferent sneer – I guessed I was just another guy showing interest in her friend this night whilst she was just a woman-shaped shadow behind her. Brushing an untouched pancake aside, Lou hopped down from the stool. ‘Uh-huh,’ she said again. And that was how my first meeting with Louise finished. But it wasn’t long at all before I saw her again: at the train station, heading back on the same train as we were. She didn’t notice us board the train, in the same carriage. Thankfully the night and breakfast overcame Luke and Pat so, as they slept and snored, I could overhear Louise and her friend quietly talking on the journey homeward. ‘He seemed like he was out of it,’ her friend replied. Pulling at my lip, that was the first time that the question of age difference arose in my mind. So she wasn’t as old as twenty-five. In her twenties, anyway. If she was out in London in the middle of October, and then heading on the train home, then she couldn’t be a student. Most likely she had graduated. I decided then that she was probably twenty-two or maybe even twenty-three. That’s no gap at all. I heard her sigh. But anyway, she was just I girl that I met who was going home to wherever she lived and, like she had just said, I’d probably never see her again. My stop was coming up, I’d wake the others and we’d be gone. So she was getting off at Orpington too! I stared at my sleeping companions, pondering whether I should do it or not. I was single, had been for nearly a year. This was a beautiful girl saying that she liked me, that I seemed nice. And she lived in the same town – or at least was disembarking at a common station. Sitting low in the chair, I could see that Louise and Pen were standing in the compartment by the doors, waiting for the train to arrive at the station. I slunk lower in the seat, my heart beating dangerously fast; the unsettled feeling in my stomach could just have been for the length of the night, or for the quality of the bacon. The train pulled to halt, the beeping doors slid aside and the girls stepped off. Careful not to wake my friends – they’d be okay, wherever they woke; perhaps they’d enjoy a day by the coast? – I stepped between their legs and dashed for the doors. I could see Louise was skipping along, dancing down the platform alongside Pen. My mouth and throat were dry; my step slow, my breathing fast. I would have to do this in front of her friend. Or, alternatively, never know. The train began to move away. I could see that Luke and Pat were still sleeping. Perhaps that was the wrong thing to do, leaving them on the train that way. Perhaps this was the wrong thing to do too. I started to jog after the girls, still a hundred yards or so from the exit. And then I slowed: I didn’t even know what I would say! But if I let her go now it would definitely never happen. If I were to make a fool of myself no one but us three would ever know, certainly not my friends travelling further down the line. So was there anything to lose? I lost sight of the girls as they disappeared through the doors of the station. Now I sprinted. When I was a kid we had a babysitter called Sonya Calway. She was nineteen years old, with reddish blond hair, a nose piercing, and the most beautiful smile I had ever seen. I remember being nine years old when I realised that I loved her desperately – ten years her junior. I would tactically encourage my parents to be more sociable, that they should go out more in the evenings. It was never soon enough to have Sonya round to the house again, so that I could cavort and show off in front of her to try and win her affection. In a way it was my first sexual awakening. This was a young woman, with all of the perfect forms that a young woman should have, not at all like the girls at school with whom I would daily play kiss chase. The girls wore vests; this woman who came to look after me had bra straps. Once, when emboldened within her presence, I remember informing her that I would marry her one day. ‘Aren’t I a little old for you though, Andrew?’ she said, smiling her smile. Laughing, she knelt down next to me, her hands on my waist. ‘Andy, come and see me when you’re older. Perhaps we will. You’re a handsome boy.’ She kissed my cheek. ‘Come on, time for bed.’ And then I probably kicked off and screamed and ran away to hide. Perhaps if I had been nineteen and she were twenty-nine it could have been different. As it happens, my mother told me about two years later that Sonya was getting married and isn’t it wonderful. And here I was, chasing after a girl who I had barely met, not sure at all if I do understand much more than I did when I was child. ‘No,’ I said, ‘I . . . I was getting off the train and saw you. I mean, this is my stop too, and I saw you both walking up the platform and I . . .’ I took a moment to breathe. ‘Look, I know that this seems forward. And I don’t mean to embarrass you in front of your friend. Sorry,’ I said to Pen. ‘But would you like to meet up some time? Go for a drink, or something? Just us, I mean. Sorry,’ I said again to Pen. She just raised her eyebrows and folded her arms. ‘Ha! You could come too if you wanted?’ And then Pen actually smiled. When the taxi was driving away, I looked at what she had entered: her name, her number – or a number, at least – a smiley face, and a kiss. Oh how I knew that, all right. And not just a twelve year age gap: my next birthday was five months away. For four months, until her next birthday, the age gap would extend to thirteen years. This was exactly what I was trying to formulate a scientific solution to negate, to somehow bridge the gap. I still harboured an ideal that it was possible. Somehow. It really didn’t bother Louise at all. We had spoken about it, of course. She repeated what I’d heard her tell Pen on the train: that age didn’t matter to her. But would it yet not matter to her when she was still in her twenties and I was in my forties? Over the hill? She said that it didn’t. I suppose just like it didn’t matter to me with my babysitter. It was on only our fifth date – an Ed Sheeran gig that I’d managed to swindle tickets for – that she told me that she loved me. I already knew that I loved her, deeply and desperately, but I hadn’t been able to summon the courage to say it first. For one reason. I felt like I did when I was a kid and jumped into the swimming pool with armbands around my ankles, just to see what would happen. The streaks that she had worn in her hair for the club night when I had first met her were only temporary, and had washed out soon after. She was a smart-looking girl, definitely older-looking than her years with the way that she dressed, and in conversation. But that itch remained. How awkward it had felt when I picked her up from her – oh God! – school. It occurred to me that when I was working at my first job in the local theatre when I was seventeen – which seems an age ago, but is just one year younger than Louise is now – she very well might have visited when she was five. Or even four if she hadn’t yet had her birthday. I might have shown a little girl and her family to their seats and was now dating her! Even three months in, almost on the doorstep of my thirty-damned-first birthday, she was saying that she has never really been fussed about going to university, so she couldn’t see any reason why we couldn’t move in together one day. I almost didn’t know how to feel any more, with the conflicting impacts of battle between heart and mind. She was all that I wanted, more than I had ever dreamed of, as beautiful as a girl can be. But what if one day we turn up somewhere and she’s mistaken as my daughter? 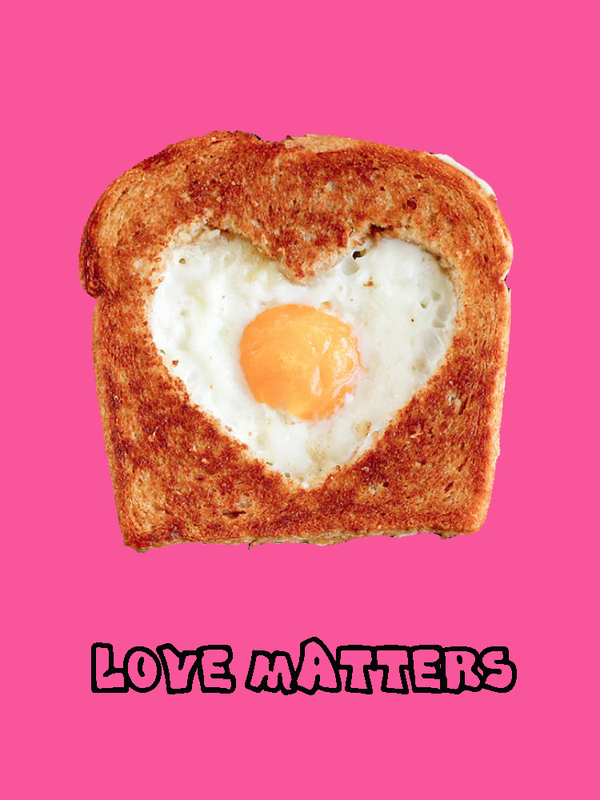 Is love all that really matters? Can it truly conquer all? What about socialising: me with her friends and her with mine? Just because she is mature does not mean that her friends will be. But then again, mine are none too aged of mind. ‘So is you banging her?’ Luke asked. My smile betrayed me, but there was no way that I was getting into this with them. We pulled up in front of the house, a medium-sized mock-Tudor building on a road of replica front gardens, where all the cars are worth more than year’s wages when bought new. The street lamps glowed orange: subtle lighting to offer protection without intrusion. Removing the keys from the ignition of my Ford Fiesta, I played with the metal imprints, picking my nails at the detailing. ‘Yeah, not so sure that I can talk about that.’ I continued to pick at my nails with the key and to stare out of the windscreen. ‘What do you mean?’ she asked, playing with the soft hairs at the back of my neck. ‘Yeah,’ I said. ‘You’re right.’ I leaned forward and kissed her, and then rubbed noses, playing a finger around the back of her ear. ‘Shurrup.’ I exhaled, misting the windscreen. ‘I’m ready.’ I drummed my fingers on my thighs. ‘Now or never.’ Louise clutched my fingers and squeezed. And then we got out of the car and started up the neatly-lined path to the house. ‘They’ll be standing behind the door. We’ll ring the bell, then they’ll count to three before they open the door. That’s all the time that you’ll have to kiss me.’ Oh God, her smile! Perhaps this all is a bit too unnatural. Too soon! All that I could muster in response was a mumble. We stood on the step between the two dark wooden pillars of the pretty porch, the orange light at our backs and the bright light of the security lamp above us. I noticed a moth battering at the glass case, demanding to see beyond or to die trying. I could have watched it for a while longer, but Louise pushed the door bell. She pressed a hard kiss into my cheek for just over two seconds, and then the front door opened and my heart stopped. ‘Andrew, this is my mum and dad: Sonya and Michael. Mum and dad, this is Andrew.’ Louise squeezed my fingers once more; I could feel the excitement transmitting through her fingers, into and up my arm. I don’t know if she could feel how cold I had turned. Michael smiled at me with his perfect, dentist’s teeth, extending his hand. Sonya smiled the most beautiful smile a child had ever seen, before amusement raised into her eyes, twinkling like the gems on Louise’s face when I had first met her. Michael’s hand yet dangled un-greeted.